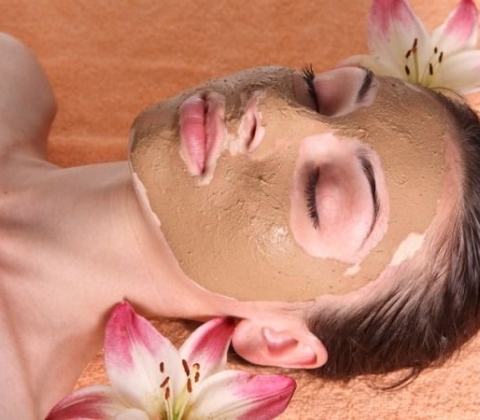 Though there are many face cleanups and facials, yet Multani Mitti is the best option. Apart from being extremely cost-effective in comparison with these facials, Multani Mitti lets you get rid of all skin problems naturally. Popularly called as gopi chandan in India, Multani Mitti is a very good skin-cleansing agent which clears the unwanted oil, dirt and dead cells from the face. Being rich in minerals such as aluminium silicate, it is best for oily and acne–vulnerable skin and kills the harmful bacterias, thereby giving fresh, soft and radiant skin. It also reduces wrinkles and pre-aging effects as it helps to tighten the skin. In order to remove excess oil from skin, mix Multani mitti and rose water and apply the mask on the skin. Apart from reducing oiliness of the skin, it maintains the skin’s pH level and naturally calms it. Mix multani mitti with sandalwood powder and a little bit of milk. Apply the pack on the face and wash off after 20 minutes. Mix 2 spoons of multani mitti with sandalwood powder and tomato juice and apply on face for 10 minutes before washing off with lukewarm water. For instant glow, you can add a dash of turmeric powder also. This will give you glowing skin and will also reduce facial spots, if any. Mix multani mitti powder with tomato juice, 1 tsp honey, lemon juice and a bit of milk. Apply this pack on face and wash off after 10 minutes. For effective results, you are supposed to use it regularly. Honey is well-known for its anti-bacterial properties and hence adding honey to the pack will kill all the bacteria and you’ll get glowing and radiant face. Mix a tsp of crushed almonds in little milk and multani mitti. Mix well and rub this on your face. Rinse off to reveal soft and supple skin. Mix one tbsp each of multani mitti, mint leaves powder and yoghurt. Apply on the patches and wash off with lukewarm water after 20 minutes . Mix 1 tbsp of multani mitti, honey and papaya fruit pulp and apply this pack on face. Wash off after few minutes. This pack will exfoliate dead skin cells and reveal flawless skin. Mix multani mitti with coconut water and a bit of sugar. Apply this pack on tanned areas and after keeping for few minutes wash off with lukewarm water. If used regularly, this pack will surely remove all the tanning to give you fair and clear skin. In order to tone uneven skin, mix ¼th tbsp of multani mitti, 1 tbsp of yoghurt and one beaten egg white. Apply on face and wash off with lukewarm water after keeping it for 20 minutes. Mix multani mitti with little carrot pulp and add 1 tsp of olive oil to it. Apply this face pack regularly in order to reduce pigmentation. Hi, im 19 my skin oily acne , white and black heads i m using multani mitti with rose water or chandan last 2 mnths . I hv no found good result.plz suggest me sm good tips. Apply multani mitti with rose water risha. Hiii,Faheema, u shld try dis, Raw milk, masoor dal,and turmeric,mix masoor dal in raw milk whole night ,in the morning , get crushed,dis nd mix dash haldi and scrub jst 3 mix and wash.
Hi ,I want to try multani miti but I don’t know where I can buy multani miti from ?? ?